RUN!! NO RENTAL RESTRICTIONS!! Here is your chance to grab a hot Airbnb/VRBO non restricted condo in Downtown Peachtree Towers! 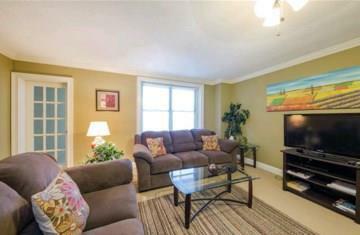 Furnished condo with updated kitchen and bathroom. Beautiful city views from the 19th floor! Screened balcony. Condo is sold furnished (2 TV's excluded). Prime location for all of the Downtown Atlanta events. Walk to Mercedes Benz Stadium, Aquarium, World Congress Center..... Price firm.